Supremachina -- a mix of retro aesthetic and kinetic gameplay – was one of the best video games released by a local studio last year. The game is one of Ghostwhale Studio's proudest achievements, unfortunately, it will also be its last before the studio closes down after two short years on the scene. 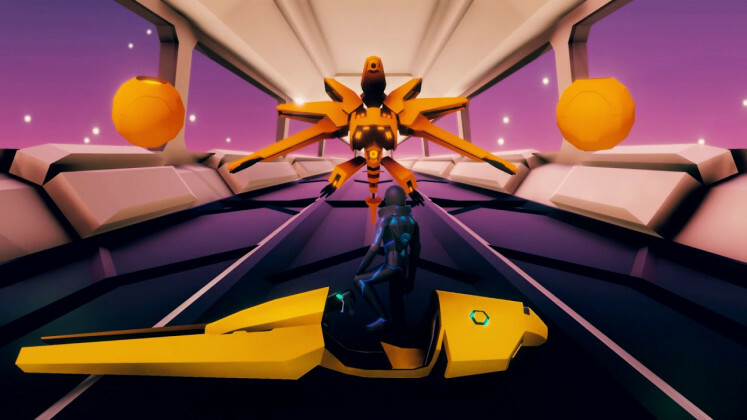 The Jakarta-based game developer released Supremachina last year to positive reception from the gaming crowd. Though it began as a just-for-fun project that was made in-between the creation of a far more laborious game called Up The Crimson Hill, it quickly showed itself to be an immediately addictive gaming experience. “Supremachina was created during our two-year-long Up The Crimson Hill creation process as a method to give ourselves breaks, and to provide some variation to our daily repetition,” says Ben Rahadi, the studio's head. “Making the same game for years could take away our sanity, so in December 2017 we decided to take a break and created this short game,” he says. The idea for the game was proposed by Ghostwhale's former lead programmer, Bagus Santoso, who wanted to design a game that was an homage to Tempest 2000 – a game released in 1994 on Atari's compelling but short-lived Jaguar console. 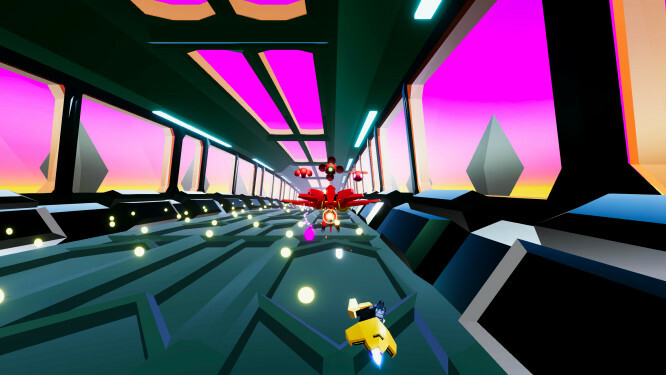 The game's psychedelic 3D graphics and unique (at the time, at least) electronic soundtrack made it a popular Atari title that has since gained a level of cult interest among gaming enthusiasts. So original was it that Tempest 2000 became the Jaguar's second bestselling game (behind Alien Vs Predator). With that in mind, the Ghostwhale developers focused hard on making sure their game lived up to its influence's unique nature. The story features a bike rider who goes up against villains called the “Supremacy of Machines” in pursuing intra-galactic peace. It is an intriguing space lore but also keeps things simple enough to understand. It was also the background for the game's moniker. Taking another cue from Tempest 2000's soundtrack, the team faced no trouble in finding their own music to feature. “During the middle of the development process, I felt like the game could use some Industrial Electronic Rock,” says Ben. “I remembered there was this Jakarta band that I saw at a gig months before, and they were called Sunmantra,” recalls Ben. He immediately got in touch with the band, and unsurprisingly found they were very much into the idea. “So they organized a session and (lead artist and art director) Aron Marcello went to their studio to hang and share the technical requirements and the nuances of the project, as well as some on-the-spot revisions” he says. With such a positive experience, and what was a welcoming reception to their games (not just Supremachina), it makes one wonder why the studio felt like it needed to shut down. Unfortunately, it isn't something that Ben or any of his former colleagues want to disclose. All he says is that in the time left before it officially shuts down (at an undetermined date), the studio still has some plans including the release of the aforementioned Up The Crimson Hill. “I think we achieved all we can in such a short time and small team,” Ben says, recalling sentimentally the time he has spent with the studio. “Back in college I studied Environmental Engineering in Bandung, and realized that engineering was not my thing. Meanwhile, I was making video games with some friends from other majors -- Rachmatilovski Valdio and Aron Marcello -- as a hobby. “We competed at some Game Jams -- a type of game development competition where you have to finish a game in a specific period of time, and a theme,” he reminisces. Taking its name from Ben's interest in “ancient myths of creatures, like Ouroboros and Leviathan, the sea monster”, they immediately made waves. These days things are winding down, but all the workers are moving into areas that aren't that far off. “Nowadays, our lead artist and art director, Aron Marcello, is making his own comics. The other team members we gathered seem to be working at other studios as far as I know.” Ben says.